It’s no secret that no matter what niche you’re in or what you’re selling, you need to do some marketing research. That’s because it’s the only way to truly understand what your market wants and needs. And easy marketing research if you can get it. 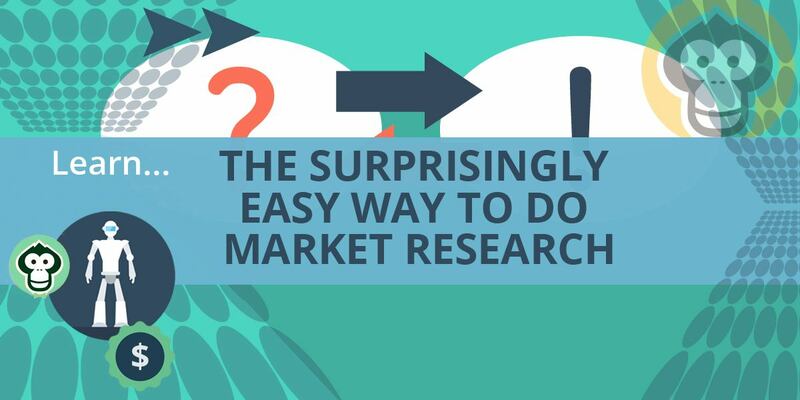 Marketing research is the only way to get a sneak peek inside your prospects’ heads, which lets you create content that connects with them, and offer products they really want. One way to do this market research is to seek out other peoples’ research for your niche. You find out what’s selling well in your niche, what sort of demographics others have collected about your market, etc. And while that may give you an idea of what your niche wants in general, it doesn’t necessarily tell you what your specific website visitors want and need. This is why so many marketers use surveys to collect information on their market. This gets at the heart of what your exact visitors want and need. It gives you a direct sneak peek right into your prospects’ minds. But of course surveys come with limitations too. They’re static, rather than interactive. So your prospects answer a few survey questions and then proceed on their merry way. Use a bot to collect data on your market. Sounds intriguing, right? It is – and it comes with some perks and benefits you’ve probably never thought about before. First off, what you need to do is train and then install a bot like Chit Chat Chimp on your website. 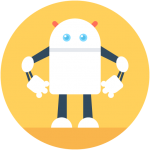 Now when visitors land on your website, your bot will pop up and ask them a question. Looks like you’re enjoying these blog articles. What other types of articles would you like to see on this blog? Thank you for your interest in our apps. What features are you looking for in exercise and fitness apps? I have a quick question for you that could really help me out. What is your biggest problem when it comes to getting traffic to your website? What types of traffic-generation topics are you most interested in? What types of garden pests do you struggle with in your own garden? What is your favorite type of vacation? What sort of recipes would you like to see on this site? Instead of merely collecting data, your bot can interact with your visitors and point them to resources that interest them. Your bot can make specific suggestions to this visitor to help you grow your list, keep the visitor on your site longer, get the visitor to make a purchase, or some other valuable activity. We have a great video course that shows you how to beautifully refinish your kitchen cabinets. No one will know that you didn’t spend thousands of dollars hiring a pro! Learn more at [link]. That’s a great topic! We have some related conversations going on right now in our Facebook group. You can join now for free at [link to related Facebook group]. There are some pitfalls you need to avoid when you’re refinishing your kitchen cabinets. You can save time and money by reading this article: [link to related article]. Do you need a little extra help? Check out our cabinet refinisher directory to find a licensed and bonded contractor in your area who specializes in this type of work. Check it out here [link to a directory]. At this point, you should be starting to think about how much more beneficial it is to have a dynamic bot collect market research as opposed to a static, boring survey. 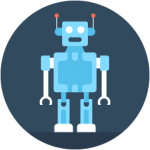 Only a bot can interact with your visitors and point them towards your products, services and lead magnets. a bot adds a personal touch to your website. And that makes the prospect feel better about his overall visit, which in turn builds trust and boosts sales. Point is, putting a bot on your site is the next best thing to having real humans sitting on your site 24/7, 365 days a year collecting data and pointing visitors towards related resources. And best of all, it’s a WHOLE lot cheaper and easier to install a bot. Intrigued? If you’ve been paying attention, you should be very intrigued by the idea of installing a chat bot on your site. Sound almost too good to be true? A super easy marketing solution… It’s not. Learn more about what all a chat bot can do for you at our post “Is The Chatter Bot Leveling The Playing Field?”And do it now, because this is one area where you don’t want to procrastinate! 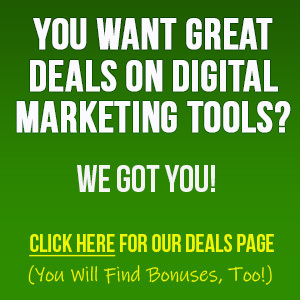 So check it out now, because bots can do everything from collect market research to generate new sales for you. Find out how at the link above! Co-Founder of Promote Labs, Inc. Entrepreneur, investor, online business owner and marketer, philanthropist, avid reader, movie buff, outdoor nature lover of life, travel, family, friends & good times. Post Gopher is growing my list on autopilot! 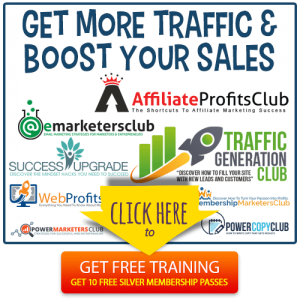 The EASIEST Way To Build Your Email List Auto-Magically! Good Things Come To Those That Wait! Post Gopher Has Performed Better Than All The Other List Building Solutions I Use Combined! I love PostGopher, what a great and innovative way to not only engage your readers but turn them in to active subscribers. We have a ton of powerful content that is incredibly detailed and with one click you have INSTANT lead-magnets that your readers LOVE. Grab this and put it on your blog now! This is the PERFECT Tool for Any BLOG! After reviewing I’m happy to say that this is a solid, high-value tool that’s going to actually make a big difference in your business… unlike ‘hype’ tools that have been launched and will stop being updated after a few months. Make sure to take advantage of this generous discount & offer before the price rises. All We Have to Say Now is WOW! 19.43% List Conversions and $4985 in Revenue? Split Test Monkey is One of the Most Powerful & Easy to Use Tools for Split Testing! I used to spend $100s a month on over bloated split-testing tools and I have to say Split Test Monkey is one of the most powerful and easy to use tools out there for split testing not just URLS but elements on the page too. I love it and highly recommend it. 31.9%, 66.3% & 70.1% More Conversions! Fun Split Testing – Are You Serious? Split Test Monkey takes a really complex task and makes it “point and click” easy. I Made My First Sale From JvZoo… Thanks To Commission Gorilla. Get Honest Reviews You Can Trust To Grow Your Business...Get in depth reviews and comparisions on the best services & resources for your business delivered right to your inbox. All trademarks and logos are the property of their respective owners. This site and the products/services offered are not associated, affiliated or endorsed by any business listed on this site nor have they been reviewed tested or certified by any other company. 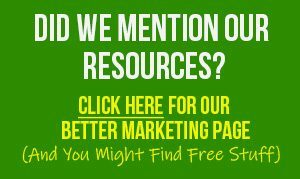 Sign-Up And We Will Keep You In The Loop On All Our Newest Posts, Super Discount Codes, Extra Bonus Offers and Any New Free Tools We Add To Our Better Marketing Page!